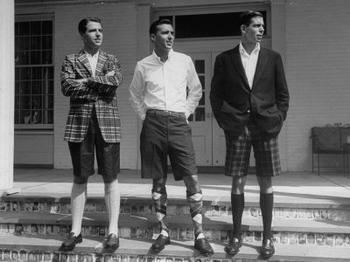 How this trend first evolved for men, with knee socks, in Bermuda is a little bit beyond me. A place famous for tropical weather and pink sand somehow spits out men dressed as little boys? File under weirdness. But a blue satin pair pour moi? Fabulous. Or a laser cut black pair to wear under a fantastic perfectly cut blazer with strappy sandals? Indeed! And what says Trop-i-Cal more than a floral pair of Bermudas? Nada. This entry was posted in Uncategorized and tagged bad looks, Bermuda, bermuda shorts, boston fashion blog, Boston fashion blogger, Caribbean, Clements Ribeiro, floral prints, Jonathan Saunders, knee socks, laser cut, long shorts, Lucky, mommy blogger, mommy fashion blogger, Net-a-porter, online shopping, Patch.com, Philip Lim, pink sand, retail therapy, satin, suburban fashion blogger by reversecommuter. Bookmark the permalink. 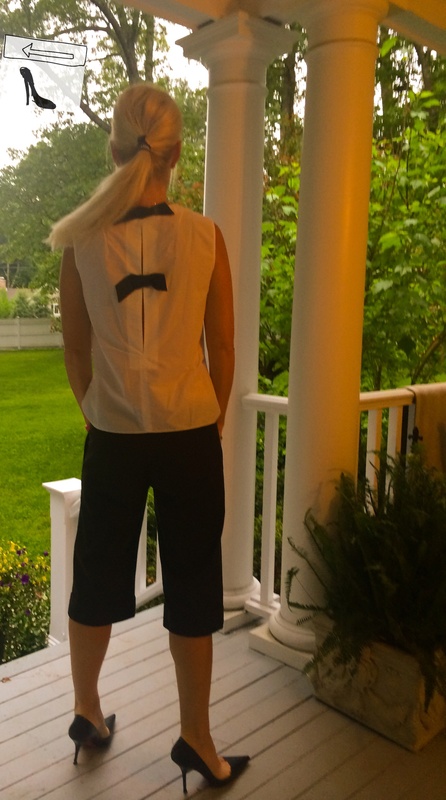 The bow-ties on the back!! Love the whole look! I’m a huge fan!! I love the bermudas and the bows on the top!! Wow – you notice the details / ❤️that! It seems like a balance of comfort with a little edginess! Can’t imagine any male I know, who would be able to pull that look (shorts and socks) off..Not even if they went to Bermuda.. So strange how some fashion looks evolve. Happily women seem to have taken this back with a vengeance.